Pariah, the story of a Brooklyn lesbian teenager searching for her sexual expression led the field with nine nominations as the Foundation for the Advancement of African-Americans in Film (FAAAF) announced its nominees Wednesday for its 12th annual Black Reel Awards. They were followed closely by both The Help and Jumping the Broom, which each garnered seven nominations, Mooz-Lum (which collected six), the sexual addiction drama, Shame which took home five nomination and the educational drama, The First Grader, which received four nods. The Black Reel Awards comprised of more than 50 voters across the country annually select and spotlight films and performances featuring African-Americans as well as people of color throughout the African Diaspora. In a year with limited major studio releases, independent and international films dominate the awards nomination landscape like no previous campaigns. 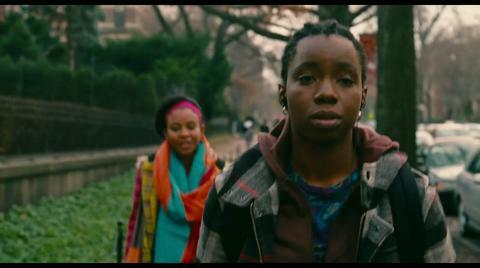 Pariah, the debut film from writer/director Dee Rees garnered nine nominations including Outstanding Film, Outstanding Actress for Adepero Oduye as well as Outstanding Supporting Actress for Kim Wayans. In addition, both Wayans and Oduye also were nominated for Outstanding Breakthrough Performance category. Rees, a protégé of Spike Lee, also received dual nominations for Outstanding Director and Outstanding Screenplay, Original or Adapted for her semi-autobiographical tale in which a young woman struggles as she learns that by accepting her identity, her life becomes increasingly chaotic. The Help secured several nods including Outstanding Film and nods in the major categories for both Oscar hopefuls Viola Davis (Outstanding Actress) and two for Octavia Spencer (Outstanding Supporting Actress and Outstanding Breakthrough Performance). Meanwhile Laz Alonso (Outstanding Actor), Mike Epps (Outstanding Supporting Actor) and previous Black Reel Awards winner, Angela Bassett (Outstanding Supporting Actress) were also recognized for Jumping the Broom. Leading the field in the Television category was Five. The film collected four nominations including Outstanding Television Film, and Outstanding Television Performances, Female for Rosario Dawson, Jenifer Lewis and Tracee Ellis Ross. Ross and and her brother, Evan Ross (Outstanding Actor for Mooz-Lum) make history as the first set of siblings to be nominated in the same year for Black Reel Awards. Also vying for this year’s top prize for Outstanding Television or Mini-Series will be the successful stage plays turned films Thurgood and The Sunset Limited, the powerful tale of a determined mother, Taken From Me: The Tiffany Rubin Story and the brilliant BBC series, Luther. In the three Independent categories, nominees were assembled primarily of winners from the four major African-American film festivals, The Pan African Film Festival, Hollywood Black Film Festival, American Black Film Festival and the Urbanworld Film Festival and will contend for Outstanding Independent honors. Several actors and directors scored multiple nominations including Attack the Block’s John Boyega (Outstanding Actor and Outstanding Breakthrough), Laurence Fishburne (Outstanding Supporting Actor for Contagion and Outstanding Television Performance, Male for Thurgood), director/writer, Ava DuVernay (Outstanding Director and Outstanding Screenplay, Original or Adapted for I Will Follow), British writer/director Steve McQueen (Outstanding Director and Outstanding Screenplay), Wayans, Oduye and Spencer. In the Outstanding Song category, multiple Grammy Awards winners/nominees will compete against a novice when Mary J. Blige (The Help), Cee-Lo Green (Footloose), Ludacris (Fast Five), four-time Black Reel Awards winner Jamie Foxx (Rio) will square off against past Black Reel Award Outstanding Actress nominee, Nicole Beharie (My Last Day Without You). Despite winning the equivalent of six African Oscars last year, Viva Riva was only able to secure one nomination this year in the newly-created Outstanding Foreign Film category. The entry from the Democratic Republic of the Congo will compete against entries from the UK (Attack the Block), Rwanda (Kinyarwanda), Kenya (The First Grader) and South Africa (Life, Above All). 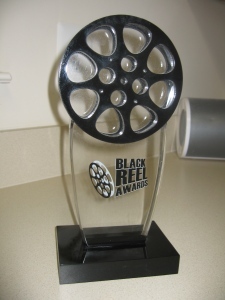 The 12th Annual Black Reel Awards winners will be announced on Friday, February 10th in Washington, DC. Mr. Jones, The First Grader only was able to generate enough voter support for both of it’s lead but the overall elements of the story must have not appeal to the voters. Shame is nominated so many times because our awards honor African-American or people of color’s participation in front of and behind the camera. Director/writer Steve McQueen’s participation makes that film eligible for Best Picture and Screenplay honors. 2012 Black Reel Awards Nominations Next Week!! !